Women with Polycystic Ovarian Syndrome (PCOS) who experience infertility often feel very alone in their quest to conceive a child. The truth is that PCOS is the most common cause of female infertility. PCOS can occur in girls as young as 11 and has been shown to be a precursor to more serious health issues such as diabetes and cardiovascular disease. And though there are many symptoms associated with PCOS, infertility is certainly one of the more heartbreaking and emotionally draining ones for women in their childbearing years who want to become pregnant. 1. 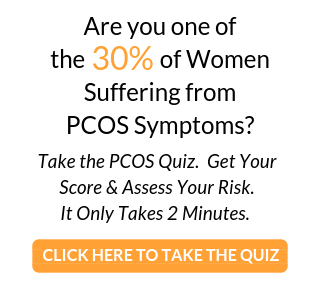 Understand the root cause of PCOS. Insulin resistance, defined as the prevention of the efficient conversion of food into energy, is commonly believed to be the root cause of PCOS. 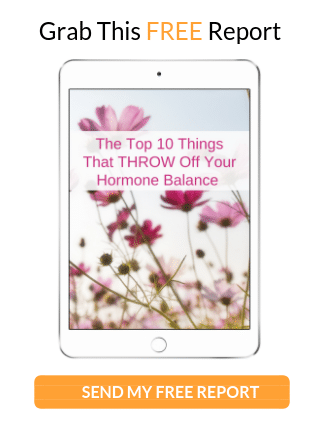 Insulin resistance causes hormonal imbalances in women with PCOS making them unable to ovulate and, as a result, may cause difficulties in conceiving. There are many resources out there to help you learn more about insulin resistance and PCOS such as Insulite Laboratories’ PCOS web site at http://pcos.insulitelabs.com/. If you understand the issues, you can better understand and deal with PCOS. 3. Adopt healthy eating habits. Although not all women with PCOS experience weight gain, they all can benefit from adopting healthy eating habits. Eating healthy foods low in sugar and carbohydrates has proven to help women balance their insulin levels and, as a result, control the symptoms caused by PCOS. The resulting weight loss and overall benefits from eating healthily can sometimes help women improve hormone imbalances and restore normal periods and ovulation, and in some cases enable them to become pregnant without the use of infertility drugs. 4. Learn about food addictions. Do you ever wonder why you always seem hungry and can never fill that craving or fight the urge to eat? Well you are not the only one! Many women with PCOS constantly complain about how hard it is to give up foods high in carbs and high in sugar in their quest to lose weight and/or eat more healthily. Addiction to carbohydrates and sugars is driven by the profound ability of these negative foods to stimulate dopamine, serotonin and endorphin brain circuits which, as a result, produces feelings of pleasure and contentment as well as dulls emotional and physical pain. If you can slowly reduce your consumption of carbs and sugars then your brain will begin to accept that eating a smaller amount of these negative foods is your new normal. 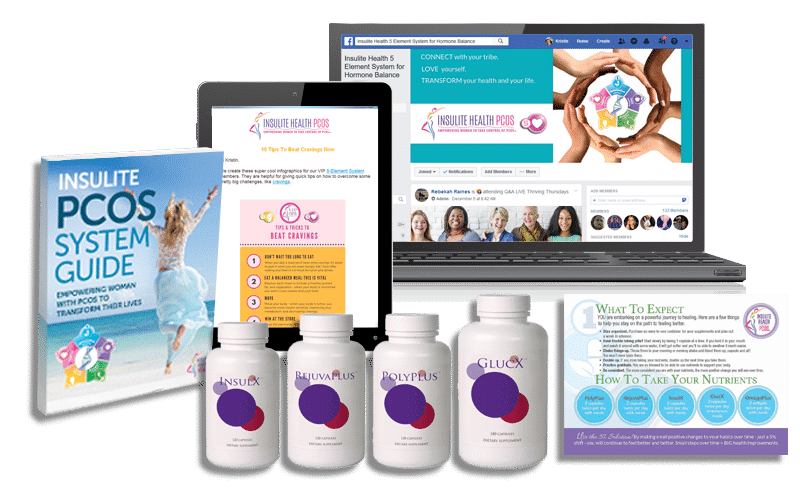 In essence, you are addressing your food addiction by replacing the addiction with a healthy alternative which will help you both physically and mentally deal with the fertility issues facing you today. 5. Exercise. Incorporating exercise into your daily routine is especially important for women with PCOS who are trying to conceive because the endorphins that are released when you exercise increase the dopamine in your system. This process can help you deal with your food addictions because the same chemical reaction occurs when you exercise as when you eat foods high in carbs and sugars: it gives you feelings of satisfaction and pleasure. Exercising will also benefit your mental health by helping you keep a positive attitude, deal better with stress, and maintain higher self esteem during this difficult time in your life. Equally as important, exercise directly addresses insulin resistance by increasing glucose disposal and enhancing muscle, which boosts insulin sensitivity. 6. Remember your husband/partner. While you obviously have physical and emotional issues to deal with, try not to forget about your husband/partner. Men, for example, often experience frustration and sadness associated with infertility issues but do not feel comfortable expressing their feelings about it. The best thing to do is talk directly about the issue, remind yourselves why you wanted to have a baby in the first place and remember that this is a journey that both of you share. Both of you will benefit from this kind of direct conversation. 7. Keep it real. Anyone who has been through this knows that while TV makes getting pregnant look fun and glamorous, trying to get pregnant can become systematic and monotonous, almost a chore! Communicating with your partner about your expectations will help everyone deal better with the situation. It may also help lighten up the mood and make things a little more spontaneous! 8. Seek support. As stated above, PCOS is the most common cause of female infertility. If you are feeling lonely and thinking that no one in your immediate circle of friends or family understand what you are going through, reach out to other women with PCOS and infertility issues. There are many PCOS support groups online that you can access. If you can’t find one that fits your needs, ask your doctor for information about local support groups or start one yourself for women in your area. 9. Be thankful. I know what you are thinking! Be thankful? For what? The challenge here is to look objectively at the facts. You have a diagnosis. You are working with your doctor. There are steps you can take to increase your chances of becoming pregnant. Many women out there do not have the first clue that they have PCOS and therefore cannot take any steps toward achieving their goal of conceiving a child. So, yes, be thankful! 10. Give it time. The worst thing that women with PCOS who are trying to get pregnant can do is watch the clock. The stress it puts on the body and soul is extremely damaging. If you can work closely with your doctor, adopt a healthy lifestyle, vent to your support group about your feelings, and make a concerted effort to relax, chances are you will significantly increase your potential for becoming pregnant.